My folks are in their 70's and they're still strong like bulls. They do get sick every once in a while but recover quite nicely if I may say so. I noticed how less they've eaten though and somehow became a little dependent on maintenance medicine. I'm sure there are a lot of you that have the same fears as I do because really, do they even get the right amount of nutrients they need to function? Now I tried to be a good son and got them these Adult nutrition formulas from Nestle. Being a name I do trust over the years (Grandpa worked there!) I guess it's about time to include in their diet something that could replenish the vitamins and minerals they need that they couldn't consume by just eating. 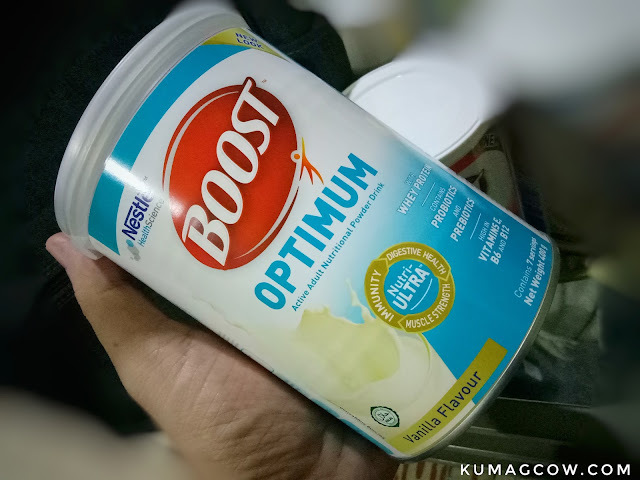 Boost Optimum for my Dad. He was an athlete and this would have helped a lot in his case as aging comes creeping in. The Vanilla flavor wasn't overly sweet, and can be mixed in a lot of other food items, but he takes it with just hot water. It actually tastes great, and he even has it with coffee. Weird I know, but it actually works. You get that flavored coffee vibe you order at Starbucks, right in the comforts of your own home. This one a 50% whey protein blend that helps maintain muscle mass, we wouldn't want people to depend on bones only right? Plus it helps in digestion because it has probiotics (it's the good bacteria) plus the needed Vitamins B6, B12, Vitamin E for nerve and skin health. It's also Gluten-free and Lactose Free which would be good for those who are allergic from it. 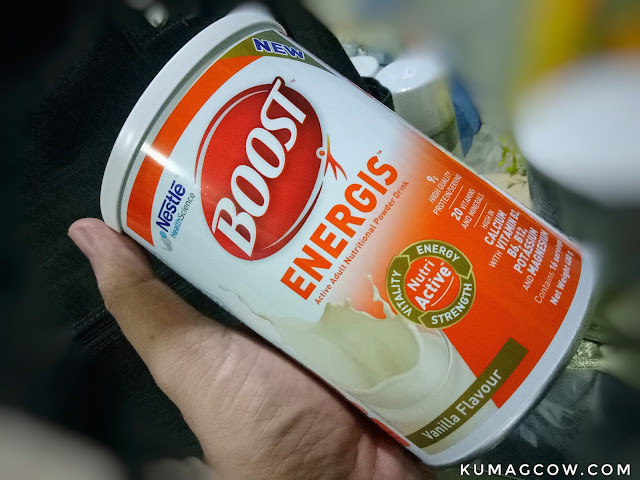 Mom loves the Boost Energis. This helps the body recuperate from fatigue and getting too tired. 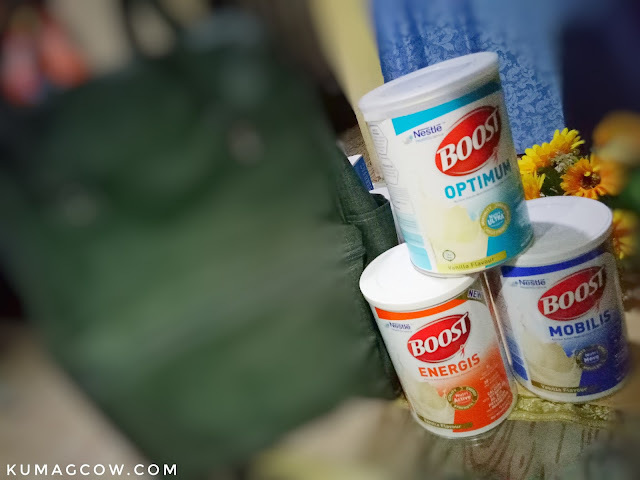 Mom still goes out in errands, even perform with her senior group in various Quezon City events so she needs that extra kick that would keep her active almost the whole day, this is perfect. Just like Optimum, Energis is also rich in high quality dairy protein. The 20 vitamins and minerals in it should take care of my Mom's health, gives what she needs to stay active the whole day. There's also no added sugar which is good for diabetics like her plus it's also okay for vegetarians. It's gluten free as well so those who are afraid of that ingredient should not worry. 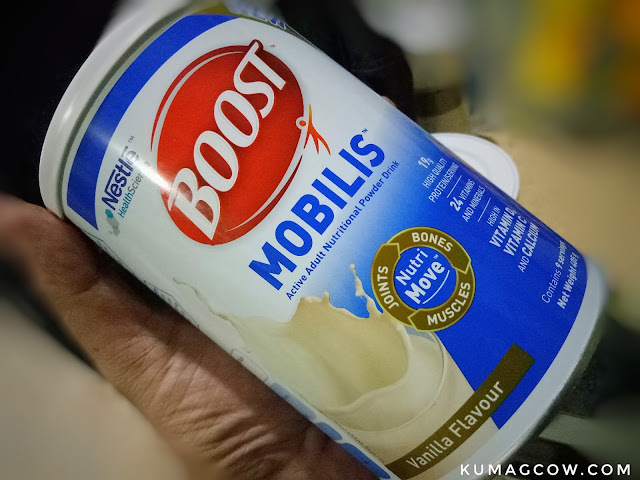 I know how hard it would probably be to stay in touch of things that would be beneficial for my folks so the Boost Mobilis should provide the protein they need again for maintenance of muscle mass. Both of them need to remain strong, by providing nutrition for bones, the repair of it, including cartilage and those that would be good for skin. 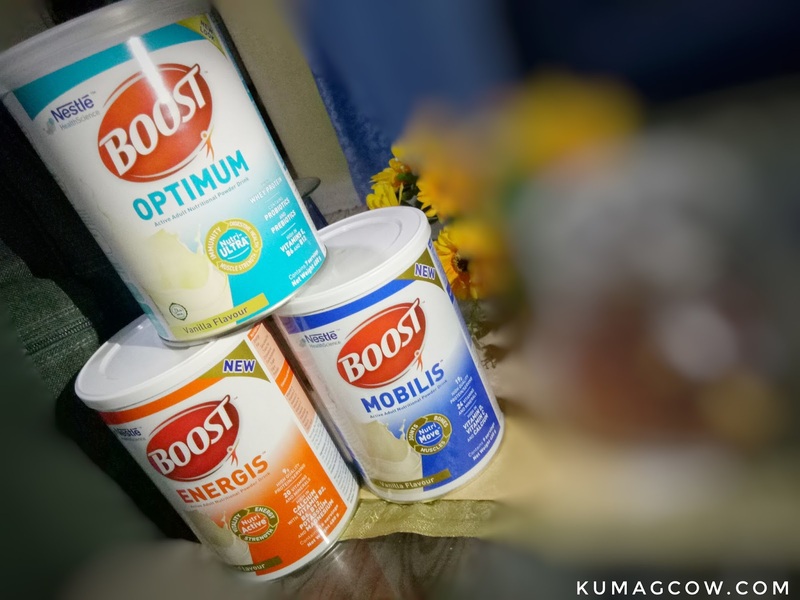 The BOOST Optimum, Energis and Mobilis is available in leading supermarkets and drug stores nationwide. Healthy skin, muscle and bones would be a good investment. So if you're already in your 50's or know your loved ones need it, take a trip down the store and give them the gift of health. It's easy to even include in your grocery list, so go be a good son like I am LOL! Yes, it's not too late!